Enough is enough. I’m starting to see a few articles suggesting the University of Virginia basketball team is bad for the game…..that they are boring. WHAT?!?!? I have read they are being compared to “the guy at your dinner party who won’t shut up about his jet ski” by “USA Today” writer, Nate Scott. People love to hate success in America. I’ve seen it time and time again and I find it very interesting. I get it – jealousy strikes. Combining that with a blog post and a little bit of social networking, you have a scenario for shamefully scripted silliness from our sports stenographers. There is so much to be learned from successful people and you inadvertently herd people towards mediocrity by encouraging them to shy away from watching and enjoying accomplishment. UVA basketball is achieving outstanding results in a tough conference, and we should all watch. I’m going to tell you what is right about UVA basketball, and I’m going to back it up. Virginia simply plays the sport the RIGHT WAY. If you are raising a child involved with athletics, who would you want them to play for? Does the name Tony Bennett come to mind? It does for me. He is simply a class act. Keep your eye on his demeanor one hundred percent of the time, on the court or off. He is cool, calm, and he achieves – as does his team. He doesn’t abuse his players, officials, or the dignity of the fans. He speaks well. He coaches VERY well. He takes a team without a five-star recruit and assembles a group of young men that are consistently ranked and discussed among the nation’s best. The players get along. They are a unit. There are no superstars or superstar egos. It’s not an “old school” brand of basketball – it’s a WINNING brand of basketball. …and, might I add, a winning brand of life. I think it’s wrong to chastise a team for doing what it needs to do to win. As long as it stays within NCAA boundaries and is ethical, it should be praised, regardless of the team you support. Quite simply, UVA likely wouldn’t be able to play a “run-and-gun” style and achieve the same winning percentage. They have to outsmart you, outwork you and challenge you. They do – and they do it well. Coach Bennett has put together a system. It takes a serious game plan to create success within UVA, a school that has higher academic standards than most colleges. Quite often, those guidelines don’t go over well with some of today’s elite athletes who only use college to jumpstart their NBA careers. It takes unique players who fit a unique system. To “USA Today’s” Nate Scott…remember Dean Smith’s “four corners” approach to the game? I dare you to write a negative article about Dean Smith. You won’t do it because it isn’t politically correct to diminish the accomplishments of a recently deceased ambassador. If you don’t like the UVA defensive mentality because it’s not exciting enough for you, then please don’t show your hypocrisy; write an article of how lethargic Dean Smith’s offense was at times, like when he held the ball for the last seven minutes of the second half in the 1982 ACC Championship game against……ummm…..Virginia. I think the world of Dean Smith. I rooted against him as a kid in Charlottesville, but Dean Smith succeeded; as an adult, I have nothing but respect for his legacy and would have loved to play for that “boring” four corners product. I think Michael Jordan agrees. TO ESPN’s Myron Medcalf, who suggests that it’s “not the competition, but the product”: go back five years and compare the attendance at John Paul Jones Arena to today’s numbers, or look back at the 2014 NCAA tournament game between UVA and MSU. Watch it carefully. It was intense and the way basketball should be played. I’d say the product is doing just fine. Mr. Medcalf, I’m sorry that you struggle with respecting a team that plays together and looks for stops on the opposite end of the floor. If you are looking for something that appeals to the attention deficit, fair-weather college fan, then UVA may not be your first choice. Maybe you prefer to see SportsCenter highlights of an extremely slow, corporately attended NBA regular-season game in a league where they don’t allow defense to become a huge part of the marketing package. Personally, I find the college game much more appealing. 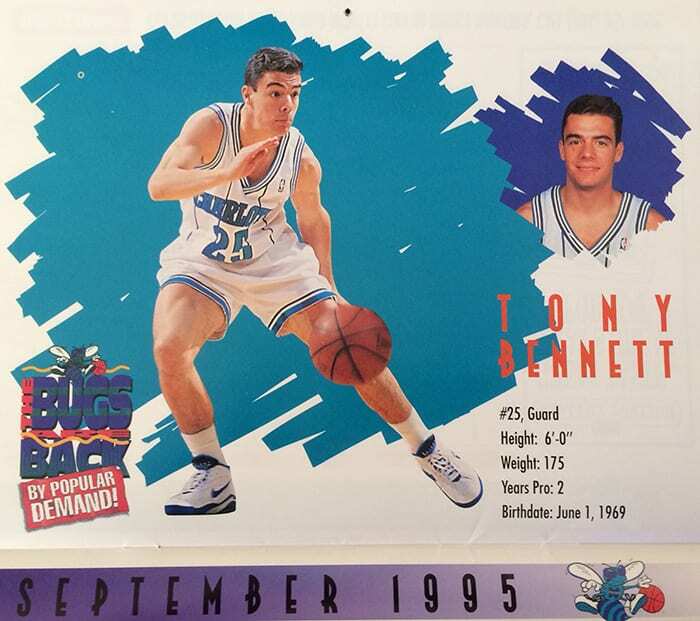 Take the time to ask Rick Pitino, Roy Williams, Mike Krzyzewski, or anyone familiar with the college game: they have nothing but respect for Tony Bennett and the program and they will tell you how good he is for college basketball. From someone who has coached and played the game, I have nothing but excitement for what is currently taking place in Charlottesville, Virginia. It teaches the big picture of life, and we should be proud of anyone giving that to college basketball. By the way, if anyone reading this acquires a new jet ski, I’d love to hear about it. Rob Garland is the owner of Rob Garland Photographers, a company which specializes in wedding photojournalism and fine art printing. Rob prides himself on a classic, intuitive, heartfelt documentation with the utmost in visual integrity. He has documented many destination weddings throughout the U.S. and abroad as well as Charlottesville weddings at many of our outstanding local venues. Rob loves imagery that fails to go in and out of style and personal touches that make each wedding unique. …..and is obviously a UVA Basketball supporter.